We develop software tools for SMBs and enterprises that assure secure data sharing and high-performance infrastructures. 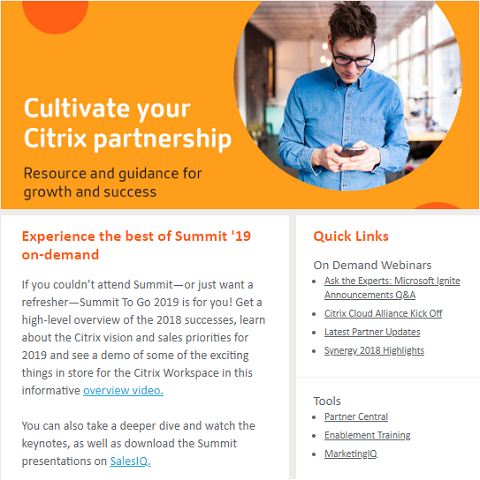 Our efficient, easy-to-use products empower customers to respond faster to business demands through accelerated implementations and improved productivity. 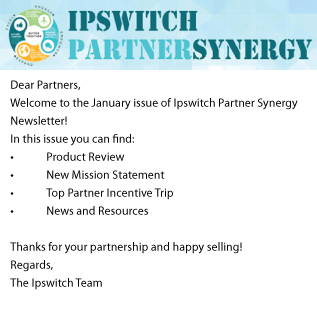 Headquartered in Burlington, MA, Ipswitch supports tens of thousands of customers around the world, with our MOVEit®, WhatsUp® Gold and WS_FTP® products. Application Intelligence generated a lot of excitement from our beta customers — for good reason. It delivers application awareness to improve the effectiveness of the entire application ecosystem, making all of your customers’ tools more efficient, reducing effort and costs. In late March, we’ll be introducing our new deep packet inspection-based Application Intelligence capabilities. 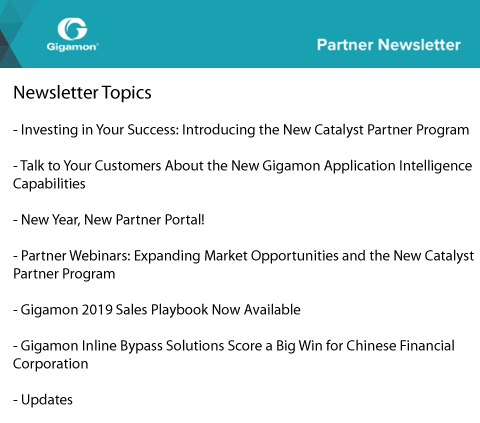 Read on to learn about this from Gigamon Vice President of Products and Solutions, Ananda Rajagopal. 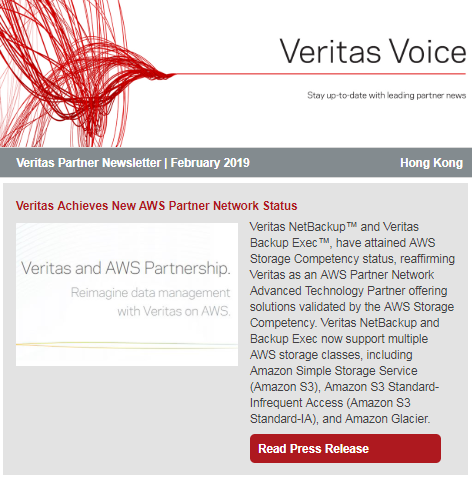 Veritas NetBackup™ and Veritas Backup Exec™, have attained AWS Storage Competency status, reaffirming Veritas as an AWS Partner Network Advanced Technology Partner offering solutions validated by the AWS Storage Competency. 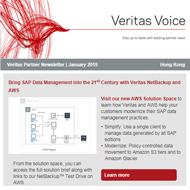 Veritas NetBackup and Backup Exec now support multiple AWS storage classes, including Amazon Simple Storage Service (Amazon S3), Amazon S3 Standard-Infrequent Access (Amazon S3 Standard-IA), and Amazon Glacier. Veritas now provides partners who are enrolled in the Veritas Partner Force Program complete access to the popular Veritas Appliance Configurator (VAC) tool. The VAC can enhance and streamline your NetBackup Appliance sales cycles by providing partners NetBackup Appliance sizing information for the smallest opportunities to large multi-site environments. Use your PartnerNet login to access the VAC. We are excited to announce the launch of the new Veritas™ Service Provider Program (VSPP) to help you grow and provide new offerings to your customers, while minimizing your total cost of ownership to deliver managed solutions. Visit PartnerNet for more information on the program and how to join. Please contact your Partner Account Manager for any questions. We are pleased to announce the release of the WhatsUp® Gold App for mobile devices. Available for immediate download from the iTunes Store, the mobile app for the company’s popular network monitoring software is free to customers using the latest version of WhatsUp Gold 2018 Service Pack 3. XG Firewall v17.5 is now available and brings with it some amazing new Synchronized Security capabilities, plus many of your top-requested features. Lateral movement protection extends our Security Heartbeat™ automated threat isolation to prevent any threat from moving laterally or spreading across the network, even on the same subnet. 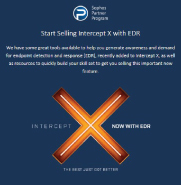 The firewall instructs all healthy endpoints to completely isolate any unhealthy endpoints.